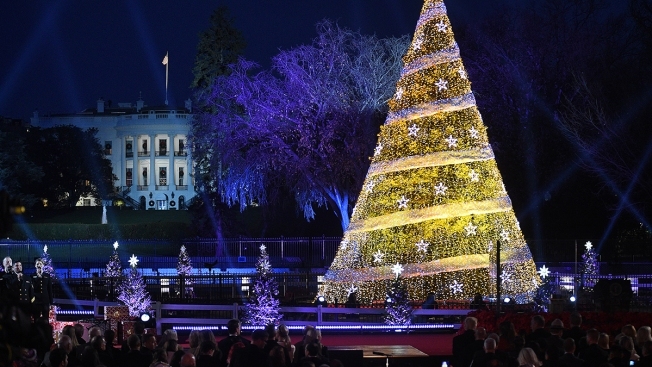 Beware, commuters: Wednesday evening's National Christmas Tree Lighting outside the White House will have street closures through the evening rush. Drivers could find delays in the area and may want to take alternate routes, police said. Drivers should also be aware of increased pedestrian traffic. Expect parking restrictions in the area; drivers should obey "emergency no parking" signs. Vehicles parked in violation of the signs will be ticketed and towed, police said. Tickets for the event outside the White House are free but have already been distributed via online lottery. The tree is a Colorado blue spruce from Virginia that is planted in President's Park on the Ellipse. Antonio Sabàto Jr. will host the ceremony, with performers including Abby Anderson, Anthony Kearns, Dominican Sisters of Mary a.k.a. "Caroling Angels," Gabby Barrett, John Driskell Hopkins and Joe Gransden, LOCASH, Matthew West, Paul Cardall, Spensha Baker, Thompson Square and the United States Army Band "Pershing's Own."